September 2015 marks the launch of Scapa Skiren, an artisanal single malt forged by the elements of Orkney; a remote island of natural contrasts. Crafted by five dedicated artisans at the manually operated Scapa distillery, Scapa Skiren’s smooth taste embodies the unexpected contrasts of the Orkney Islands, setting it apart from traditional Island Malts. A unique barrel-shaped Lomond wash still – the only remaining working Lomond in the Scotch whisky industry – is used for distillation, resulting in a richer and fruiter honeyed spirit. Exclusive maturation in First Fill American Oak casks gives Scapa Skiren a smooth creamy sweetness with a hint of tropical, citrus fruit and coastal heather, uncommon for an Island Single Malt but distinctly Scapa at its core. Scapa Skiren gets its name from the Old Norse for glittering bright skies and lights up the senses with its delicate scented floral flavours as well as fresh pear, sweet and fruity pineapple notes on the nose. The smooth and sweet taste of ripe honeydew melon slices as well as bursts of fruity pear contrast with the tantalising taste of sweet sherbet on the palate. The end result is a long refreshing sweetness, reminiscent of the summer Orcadian skies after which it is named. Scapa recently opened its distillery to the public, for the first time since its launch in 1885, on the beautiful, wild and untameable Orkney mainland. It is situated on the shore of the Scapa Flow, a natural harbour and one of Britain’s most historic stretches of water. 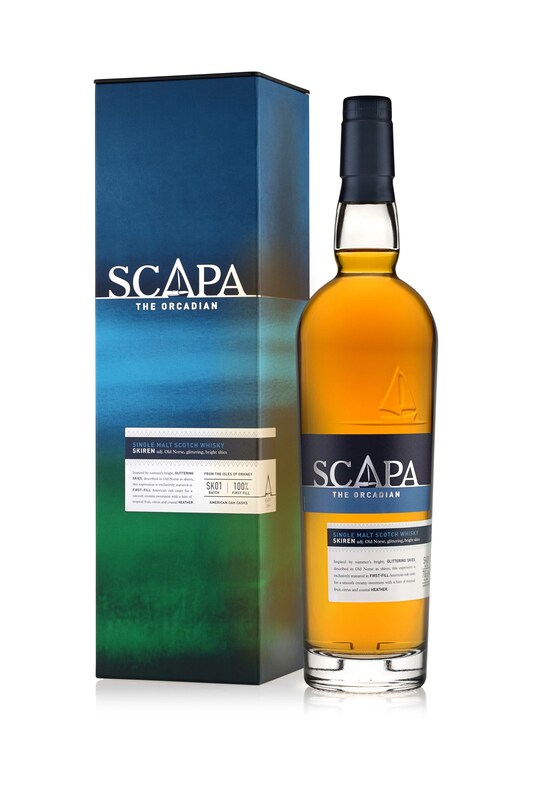 Scapa Skiren, priced at $60 USD RRP, will be released in September 2015, in selected retailers in the UK and France.